You can use the power of Cloreen to both call out to players and to search for games needing players and let them know you will come along. 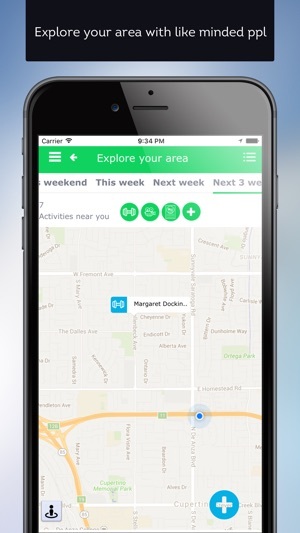 Use Cloreen to post your routes, times and how many spots you have available to people in your area. Those seeking a carpool can then request to fill your spots and you choose the best ones. Now you can publish a babysitting job on Cloreen saying what date and time you need a sitter. Once this post is active experienced babysitters will let you know they are interested and you can hire the best person for the job. If you are looking for regular cycling buddies why not create a post on Cloreen and track down cyclists to come along on the ride with you? There are endless possibilities to this as you can either send out a call for general ride or for cyclist to accompany you on long rides. Setting up a post on Cloreen advertising for a regular dog walker means your pooch is getting all the exercise they need. You can stipulate times and dates if you want, or simply post that you need somebody every day. You can even build up a pool of regulars should one not be available for whatever reason. 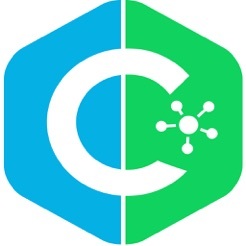 Thanks to Cloreen you can post a ad stating your favorite club and tee off times and let other golfers know there is a game if they want to join in. This not only gives you the chance to try your luck against golfers of different handicaps but greatly widens your circle of friends at the same time. cloreen is the perfect platform for letting you team up with other gym fans and lets you have some friendly competition as you work at achieving your fitness goals. 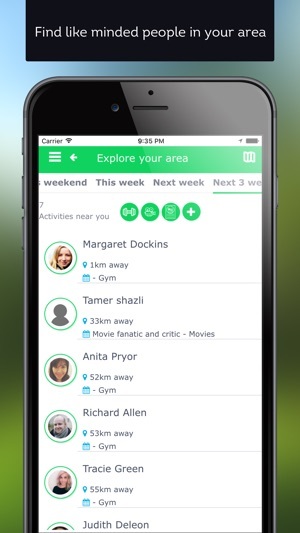 Simply create a profile and make a post telling others which gym you use and the times you usually go, or want to go. Those looking for a training partner before they join a gym can browse the ads on Cloreen and respond to those in their area. Whether you run for fun or are planning to train for a marathon, having somebody to train with gives you both motivation and improvement. To find the perfect person to pound the pavements with all you need to do is post an ad on Cloreen. You can put as much or as little detail into your post, depending on your requirements. Yogi's who go to classes often lack the motivation to practice on their own. Why not post an ad on Cloreen for fellow enthusiasts so you can practice together? Let them know the time and place you want to practice and see who responds. You can even check out their profiles to see what level they are at etc. This app really has it all. You can post all your skills (tennis, football, cycling, golf etc.) and create your own post, even you can post interests. People can also create a post that you can see them in your area. And in case you don't feel like working out, scroll through other people's posts to get inspiration. Anyway I just think the app is great! Nothing is worse than an app or service that doesn’t work. I like to leave positive reviews when I can because most of the time apps annoy me so much that I just uninstall them. Not this app. I need an experienced babysitter for a well deserved and finally I've got it here. It's a great app in my opinion.